Roger Telemachus, the former South African seamer, has been asked to quit cricket with immediate effect for medical reasons. He was sent for tests ahead of the upcoming domestic season and the Champions League in India, but his Cape Cobras coach Shukri Conrad confirmed that he wouldn't be considered. "Obviously Roger has 'retired' a couple of times before, but we saw fit to bring him back for the Pro20 last summer and he did very well for us," Conrad was quoted as saying in Sporting Life. "He was right up for selection having trained as hard as anyone in the winter months. But sadly he has a medical condition that has deteriorated over the years. "As recently as last Thursday we sent him for an angiogram and unfortunately the diagnosis was not particularly good. Roger was advised not to play any further competitive sport." The Cobras have qualified for the Champions League Twenty20 tournament in India this October. Telemachus took six wickets in nine games in the Pro20 domestic tournament, which the Cobras won. "He's naturally very disappointed. He played a huge part in getting us to this position of getting into the Champions League," Conrad said. 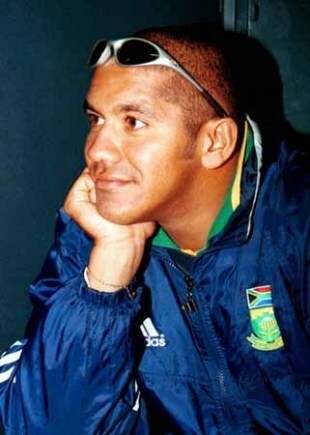 Telemachus played 37 ODIs for South Africa between 1998 and 2006, taking 56 wickets. He wasn't able to cement his position in the team, due to badly timed injuries and the stiff competition for pace-bowling slots. He played no Tests, but managed three Twenty20 internationals for his country, the most recent one in February 2007 against Pakistan.